Compassion and generosity are the driving forces behind the services we provide. With your gift you are letting a needy senior know they are not forgotten, and that their well-being is important. The hot meal is a lifeline for so many. For more information on Partnership Opportunities with Meals On Wheels Delaware, click here. Is Meals On Wheels Delaware a nonprofit organization? 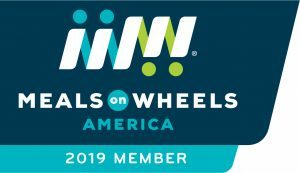 Meals On Wheels Delaware was incorporated as a not-for-profit organization in 1995 and became an IRS recognized 501c3 agency in 1996. Are donations to Meals On Wheels Delaware tax-deductible? The IRS considers donations of cash, securities, and property as charitable deductions for income tax purposes. All tax-deductible gifts are acknowledged in writing, according to IRS guidelines. Thank you to these businesses, foundations and individuals for giving back to the community!